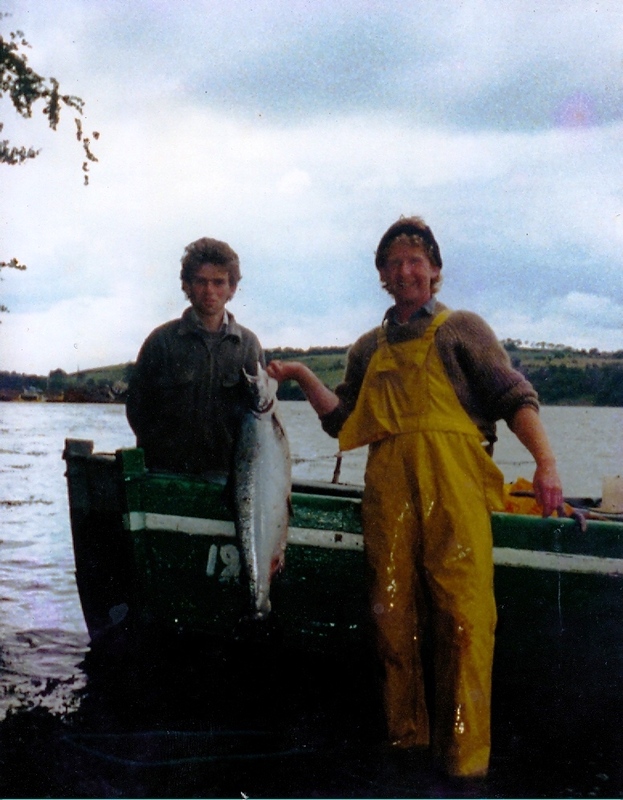 I recently recalled the selling of Salmon in Cheekpoint. In conclusion of that piece, I mentioned the practice of running fish, a means of earning a bit of extra cash for some of life’s pleasures, which invariably meant drink and cigarettes. As each fish lost a percentage to the buyer, it wasn’t uncommon to hold a fish back and “run it” as we called it locally. Selling it to another buyer of course was out of the question, at least directly. But there was always a willing buyer locally for a fine fish, including the pubs. Of course it wasn’t just the buyers that were sometimes hoodwinked. The owner was well in his rights to ask, and it was always the large fish that were run. In this case, it was our Uncle Sonny and he was blackguarding us, but we’d heard many similar challenges. The big fish were run because they raised more money and as the saying goes, you may as well be hung for a sheep as a lamb. But if you were going to run one, you would be sure to avoid being seen bringing the fish in over the side. It was also as well not to return to the village with it. If you’d like to know more about village life and the history and heritage of Cheekpoint, join us for a free guided walk this coming Bank Holiday Monday. Walk departs from Cheekpoint Quay at 5pm and is an easy going stroll. on a special event train that departed from Dublin via Waterford before crossing the new bridge where they stopped to admire the meeting of the three sisters. Rosslare on Fri 24th August 1906, sailing on the St Patrick. 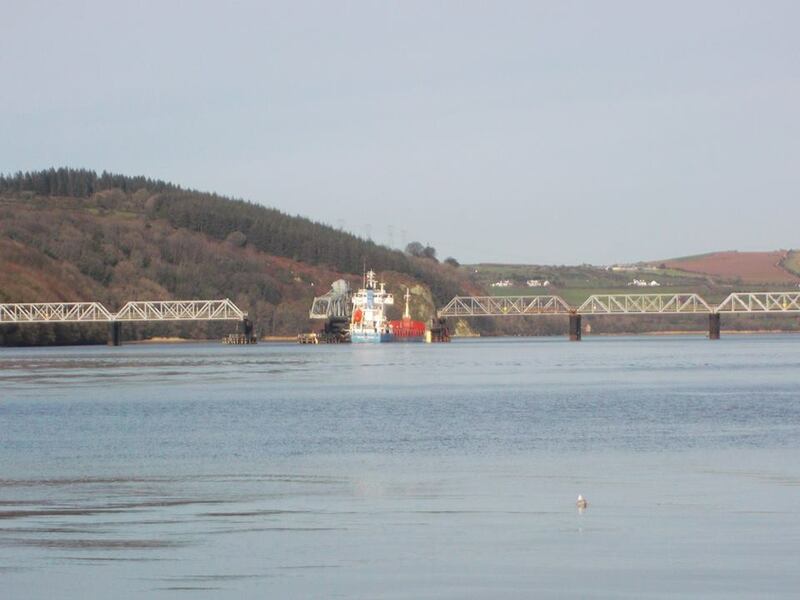 of some structural works like the bridge at Jack Meades. swivel opening span to allow entry and egress, that the go ahead was received. commenced in June 1902 after a tender of £109, 347 was won by Sir William Arrol & Co of Glasgow. The initial stages of the work went well. 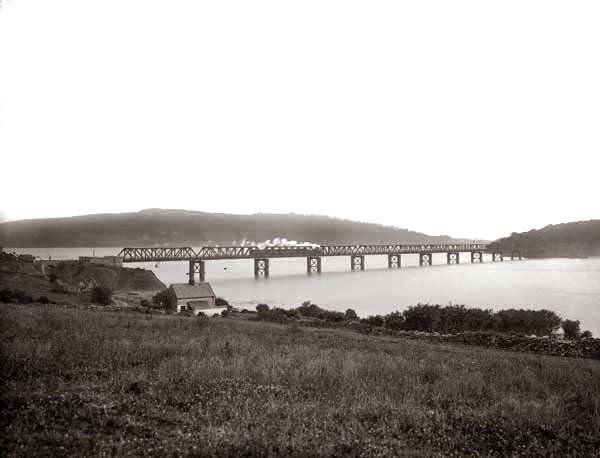 However the twin pillars onto which the spans were placed had to be laid on a foundation of the river bedrock. As they proceeded out into the Barrow the depths got ever deeper and in some cases workers had to dig to 108 feet below the mean water level. Such extra work added a cost of £12,000 to the bridge. mounted on twin 8 foot diameter cast iron cylinders filled with concrete. 11 spans are 148 feet long and the two closest the opening are 144 feet. piece a century of Barrow Bridge incidents. the final train crossed the bridge in September 2010.
line re-opened. I for one would dearly love to see it reinstated. Its a train journey I never took, and regret it deeply. All of us knew of the BI growing up. The schooner was then a wreck on the strand road, directly opposite a garage owned by Jim “Dypse” Doherty. We would also know her story, retold often through a poem, written by Bill O’Dwyer. I recall no better recitation than that of Matt “Mucha” Doherty, which would have easily graced the stage of the Theater Royal. and many a cargo and crew. and ships and mortals must die. bound down for the English shore. was stranded just near Dunmore. quay, now her hold is no longer dry. with her mainsail gone and her boom. man, her trappings and all did buy. to watch over the schooner BI. rope they needed to fetter a goat. of the theft from the schooner BI. nothing of ships or the sea. that raided the schooner BI”. I’m working from dawn to dark. so pay me my wages my boy. hell, yourself and the schooner BI”. The poem may have had a Cheekpoint bias and my Father when asked, would shrug and say they were hard times. When pushed he would regale us with stories of “Captain” Burns, who seems to have been a real “character” and perhaps not the first choice for a watchman. Having departed Wexford Town for Falmouth on Christmas Day with only myself and the mate for crew, (the crew had refused to sail we’re told) the BI ran into serious weather. Carrying only ballast, she sprung her timbers and we battled for 48 hrs manning the pumps as much as the wheel or the rigging. 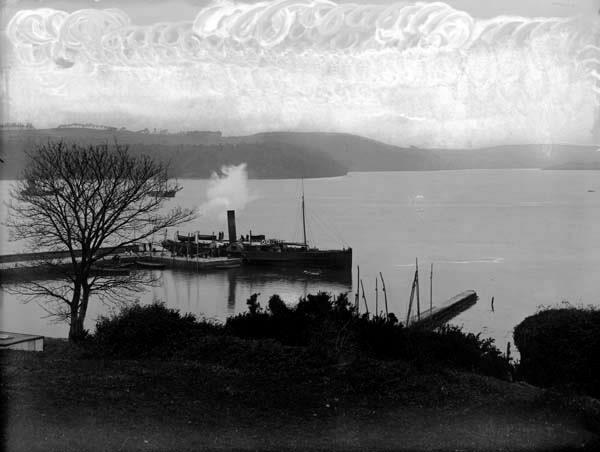 Realising our journey, not to say investment and lives were in serious peril, we turned to leeward and made for Waterford harbour. We spotted the hook in the early hours and with some difficulty, and a lot of trepidation, rounded and headed into the harbour. The ship at this point was dangerously full of water and we were in unfamiliar waters and unsure if this was indeed the harbour or the feared Tramore Bay. Eventually we found ourselves in shelter and at daybreak, with the assistance of two hobblers, stranded the BI at Passage East. There our luck turned, as we were reported by a “busy body country custom official” to the Board of Trade. A survey was required and what might have been a quick repair job turned into a financial nightmare. We were broke and the BI had to be auctioned. The Cork Examiner carried the notice on 9th January 1937 saying the “Topsail Schooner BI” would be sold by public auction on Tuesday 19th January at 12 noon. 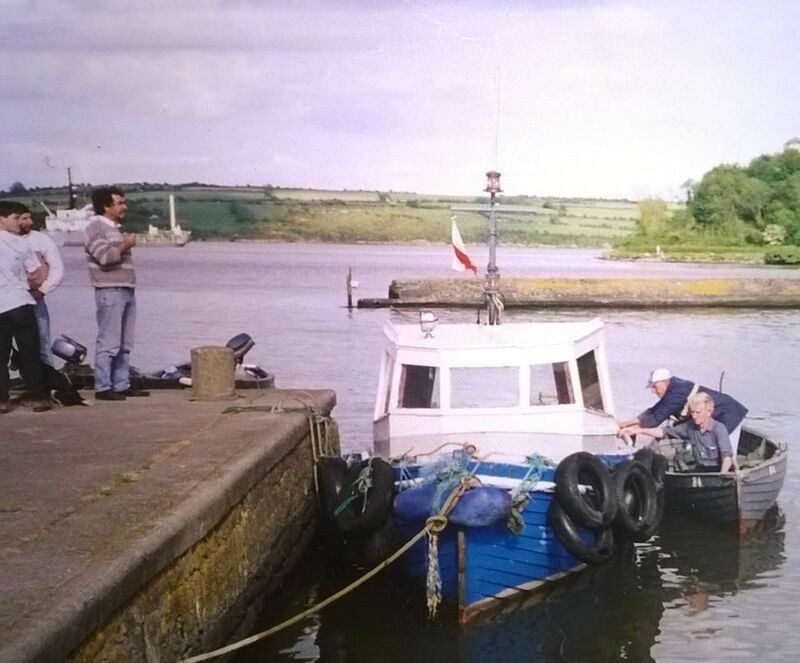 Locally it was said she was purchased by a man from Tramore who had some plans to make her sea worthy again but he ended up selling what he could from her deck and hold and left the hulk to rot. As regards the pillaging piece, I suppose I can understand the feelings of Roberts. Having invested his savings in a joint venture to return the schooner to England, he must have felt cheated. The crew, weather and eventually the ship turned on him. The “busy body” custom official and the price of a proper refit must have sealed his opinion of a pretty disastrous venture. In such a light his badmouthing of the area is probably understandable, but at least he went on to future, and more successful, adventures. Locally however the reputation of Captain Burns and the BI is well protected. They live on through the folk memory and the telling of the poem to succeeding generations. I wonder when Jim Doherty recorded it in the Irish Folklore Commissions School Project, not long after it was first written, could he have foreseen that the BI would still be recited today and his words be there for succeeding generations to enjoy. I sincerely doubt it. I’d love to know if Bob Roberts knew of it too! Certainly, I made sure my acquaintance that day in Kilkenny did. (1) The article was passed on to me by William Doherty and was received from another villager who lives abroad, Pat O’Gorman. My thanks to them both. Bob Roberts wrote several books. Some titles here at Amazon. Faithlegg and Coolbunnia Facebook page. Cheekpoint when we were children and it brought the memories flooding back. the quayside waiting for a boat, or in my Aunt Ellen’s house having a cup of tea in between boats. New Ross. 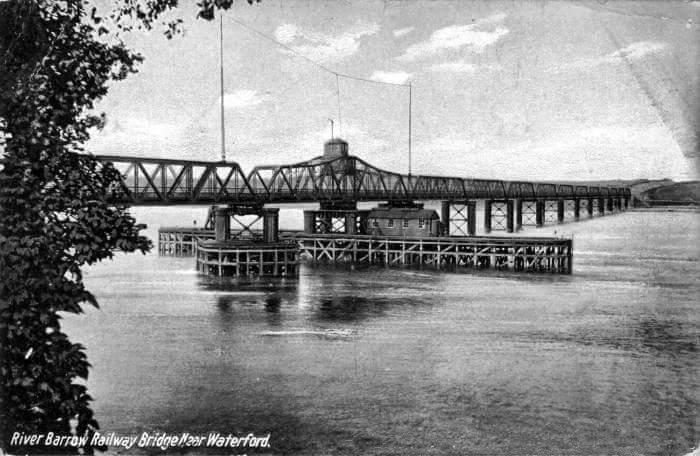 Because of our location at the point where the three sisters meet, the Barrow, Nore and Suir, and the junction to the two port, Cheekpoint was a logical choice for such activities. I can’t say I have yet discovered when the practice started but I do recall a photo, below, which depicts a pilot officer house, where pilots waited on ships from the late 1800’s, and I’m guessing it was at least for most of that century. Hobblers would have been to the fore prior to that. be dropped to the Island Quay, at Great Island. Ballinlaw, coming towards the Barrow Bridge. As a salmon fishing village, Cheekpoint, like all the others in the harbour, had to have a means of selling their fish. In our case we either had to travel to sell them. 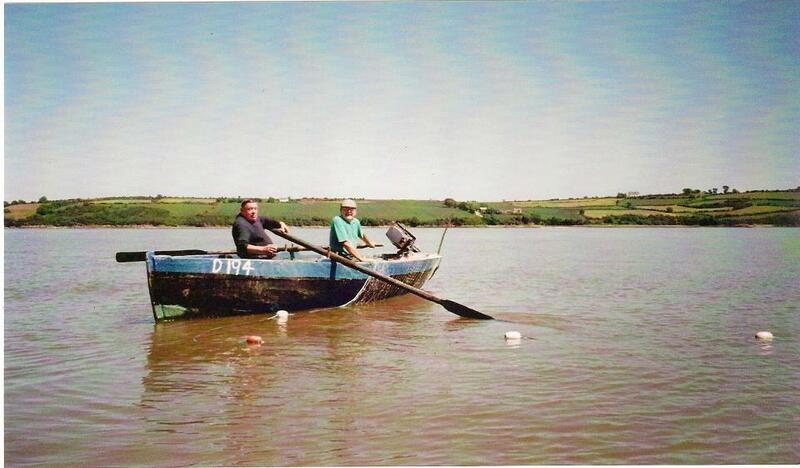 Or, when we were children in the 1970’s, the buyers traveled around to collect the fish. They were a familiar and welcome addition to our growing up, and the smell of the salmon that they brought, was one that I welcomed as a sign of local prosperity. back again he would blacken her from selling to any of the buyers in town. then left to hang while the scales balanced. the harbour. We had our own “ouncel” as we called it to weigh the fish, but it was what was on the buyers scales that mattered. There was often tales of putting pebbles, or lead, down the salmons mouth to increase the weight. I can only say that we never tried it. to be settled up) Of course the benefit of being from a fishing family is that you had access to fish at any time for the table. One of my most lasting memories of my childhood was the taste of the freshly cooked salmon at home, boiled on the hob, with a pot of my fathers freshly dug potatoes. Heaven on earth. would then be roped up for the new year. also led to, or rather added to, a practice of running the fish, something I’ll return to.